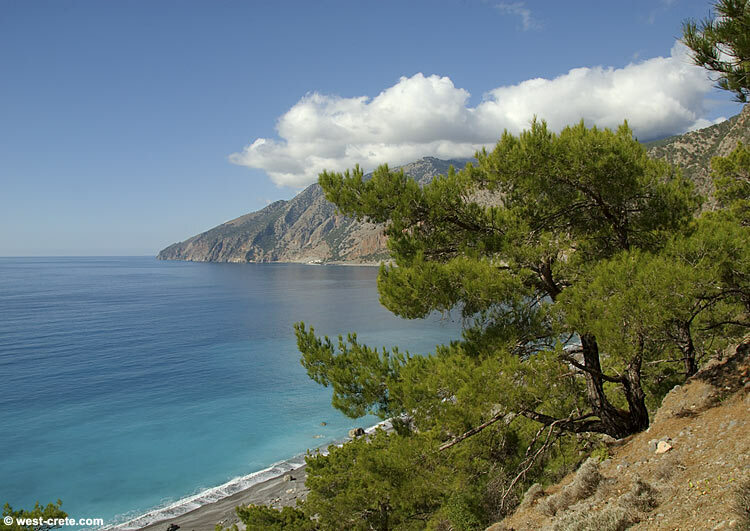 Yesterday's photo was taken on the edge of the cliff which runs along the coast east of Agia Roumeli. 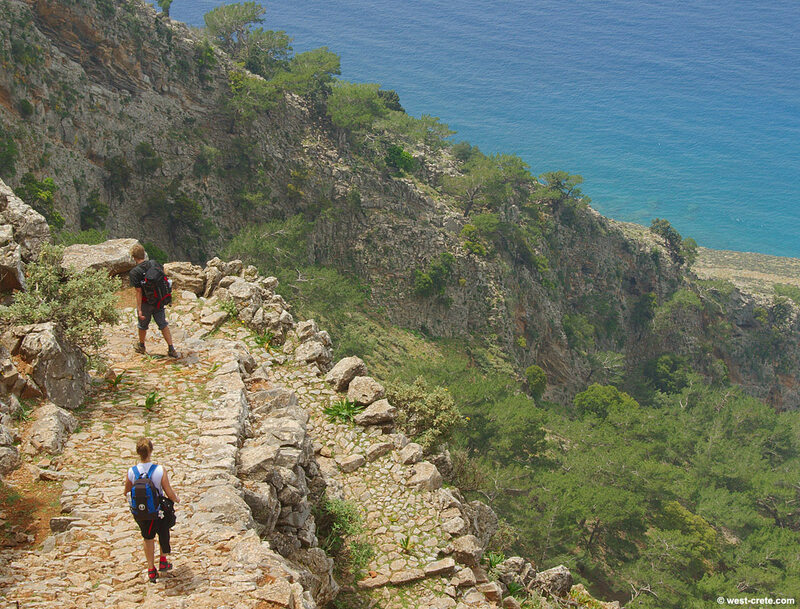 An ancient kalderimi (the word denotes a paved path and probably has a Turkish origin) takes you all the way down to the chapel of Agios Pavlos and then along the coast to Agia Roumeli. This path certainly dates back to the Late Minoan period - if not even earlier - and linked Agia Roumeli (which was a significant place in ancient times) with the plateau and the mountains. As few people (apart from walkers) use it nowadays (the usual connection betwen Agia Roumeli and Anopolis is now by boat to Hora Sfakion then by road. Everybody has cars) it is starting to break down a little in places but, to me, it still retains the magic of a place on which at least a hundred generations have walked before I set foot on it. I took the photo at the top in the spring of 2006. This is at the start of the path, almost a paved road because it had to be built right into a cliff. As you get further down and the slope gets more gentle it beceomes a smaller, more natural path. The second photo was taken shortly before reaching the beach of Agios Pavlos. You can see the village of Agia Roumeli in the background. The whole walk down from the edge of the cliff to Agios Pavlos takes between one and two hours, depending on speed. Returning up by the same route takes to take longer especially on a hot day.